These ideas for romantic things to do for your wife were all suggested by real wives. Some are expensive, while others cost nothing at all. No matter your budget, there’s always something you can do to make your wife feel special! Take your wife on a drive to a place where the two of you can watch the sunset together. Make sure you hold her hand or put your arm around her. Give her a back rub or massage. Make her a handmade bookshelf (or buy it if you prefer, but making things by hand is always romantic). Fill it with books you know she will love – either books she already owns, or new books that you buy for her – and set it next to a snug loveseat sofa just for her. On the other side of the sofa put a small tea table. It will be her special place to relax when you’re not home (or when you’re watching the football game). Give your wife a gift when she least expects it, even if it’s something small. Surprise her with a dream vacation. Make all the arrangements (babysitters for the children, plane tickets, hotel reservations), so that all she has to do is pack a bag. Imagine how thrilling it would be to say to her, “Honey, pack your bag, we’re going to Paris tomorrow)… However I must add two caveats about this one: First, if she works, let her know about the trip well in advance so she can arrange time off from work. Secondly, know your wife’s personality. If she needs time to mentally prepare for new things, then plan the trip accordingly. Make her dinner and have it cooking in the oven when she gets home from work. If you don’t know how to cook, take a cooking class and learn! Bake her a favorite pie, or make her a cake and decorate with a message of love. You can never go wrong with a hug. Have a bouquet of flowers delivered to her at an unexpected time, along with a love note. Write your wife a letter listing the things for which you feel grateful to her. Write a book and dedicated it to her. Write “I love you” on the bed in flower petals. Leave a small wrapped gift under her pillow – for example a piece of jewelry. Buy her a day at a spa where she can be pampered with a facial, massage, manicure and pedicure, etc. Take her bungee-jumping or skydiving. Whisper something loving in her ear when you’re in public. Blindfold her and kiss her all over her body. Look deeply into your wife’s eyes and tell her how beautiful she is to you. Put a love note in her pocket for her to find. Write her a love letter and draw a flower on the envelope. Take your time and draw something really nice. If you can’t draw, trace it from a magazine photo. Let your wife sit on your lap. In winter, make love in front of a roaring fire in the fireplace. Carry your wife to bed. Call her from work during the day to tell her you love her (just be careful – if you’re calling her at her workplace, make sure that it’s not going to get her in trouble with her boss). Lie together in the backyard (or any secluded, peaceful place) and watch the stars. Buy her a ring. It doesn’t have to be an expensive ring, just something pretty in a style she would like. Speaking of buying gifts, pay attention to what she likes. When you’re out together and she sees something in a window and says, “Oh, that’s lovely,” make a mental note, and when you get home, write an actual note in a notebook do you don’t forget. On a special occasion, buy it for her. Go camping together in the woods or the mountains, just the two of you. If you’re on a business trip, call her often to chat (even if only for a few minutes) and tell her you miss her. Know that she needs time with her friends just like you do, and be nice to her friends (without being flirty of course). Learn from her, and let her know that you do. Learn to say sweet things in foreign languages, including sign language. Defend her when someone says something unkind about her, no matter who it is. Go go the playground and swing on the swings as if you were still teenagers. Just remember to get up if a real kid wants the swing, ha ha. Exercise together. This can be great fun and is a good bonding experience. Go shopping for her, wash the dishes, clean the house (including the bathroom). Share the chores, and some days just do them all. Tell her every day what you love about her. Be specific and mention actual things that you appreciate about her. Awsome! What about things to do for your husband. By doing all these woman will take you for granted. Because I am a type of person that normally respect my wife and helping her but at times she is not grateful to me for doing that. What I suggest is that you should post an article that teach women how to acknowledge and appreciating what their husband is doing for them in term of domestic work. Because at times they is man duty to do it. Thanks for great job Zawaj.com is doing Muslims and humanity in general, I make sure to invite more people to visit this site. A Wife is not obligated to clean the house, to cook the food, to wash up or to iron the clothes, infact Allah SWT put it as a duty to the man to provide and look after his wife, so be careful when you impose things on your wife to do when in fact she doesn’t have to do it. This is why we (men) should try all our best to help our wives in the home and household work, so to bring harmony into the home and keep the love going and keep-out the Shaytaan. It is culture that has put a woman behind the sink, clean the house etc. Islam uplifts the rights of women in that she is the home-maker, Yes! but in order for her to be successful, the man also has to take part and share in this home-making, even though he is also working. You only get out what you put in! … and if you don’t help your wife, then expect that she is fed-up and complains, but overlook this and try to find a loving, compassionate solution. If you help your wife and share the work, you are creating a bond and togetherness and harmony and she will be grateful because you want to help her with the work that she might find too much or that you could help her with, then you both finish quickly and share time together in other things rather than cleaning, cooking, washing etc. Brother, I love your comments; not because I am a women but due to the fact that they are balanced. For a long time, some cultures have stressed more in grooming and preparing women by trying to teach and preach them about how to be perfect wives. First they train to be perfect daughters and then wives (very Victorian). Unfortunately, men were not educated with the same sense of importance. Even today, in some cultures the stress is laid on women. It is time that we teach our sons and brothers about what you have mentioned. Islam includes educating both males and females, then only we can look for harmony. Please brothers, do not think that I am making suggestions about men not been educated well. I am only talking about certain cultures and cultural practices. Assalam.All the will to act the way it has been mention is there! but hardly you get the one that will apreciate,be submissivein marriage accordinglyand cheers a lovely marriage. This is good. but is this from hadith? 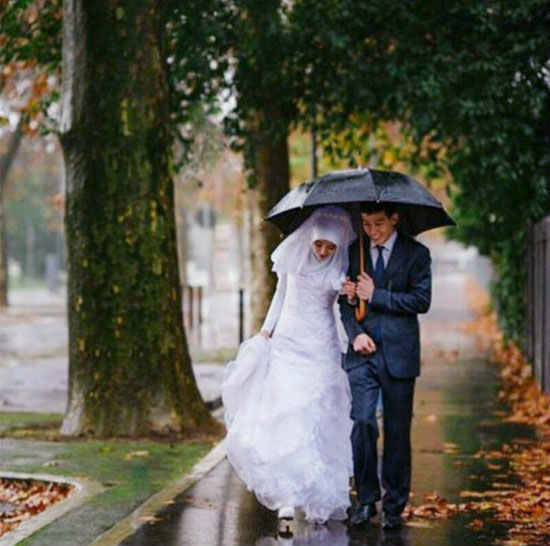 So, love, mercy, and kindness to wives are all from the teaching of Islam. The Prophet (sws) was very kind and affectionate with his wives. Sister, I will start a list of ‘Romantic things wives can do for their husbands’ and everyone can help to expand it. These are in my opinion the basic necessities of being truly romantic. I can make an endless list of ways to show romance but these are the basics. this discussion is a good eye opener for many.